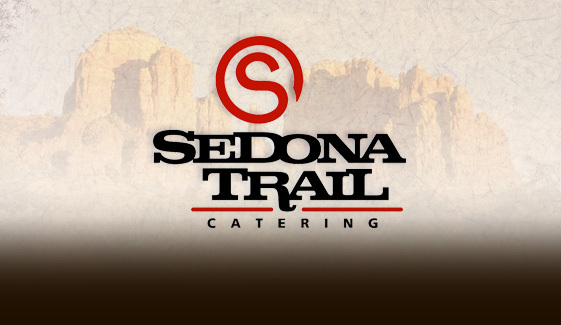 Wedding Catering Package Including Appetizers, Entrees, Sides, and Salad for Phoenix, Chandler, Mesa, Tempe Arizona by Sedona Trail Catering, an Arizona company. This package price is based on a minimum of 100 guests. Our professional service staff will personally serve your guests. They’ll take care of everything from hand-pass the appetizers to cut and plate your wedding cake, and clear the tables after dinner service. The $49 price also covers the catering equipment, buffet tables, buffet linens, serving utensils, and buffet decorations. China tableware, water goblets, silverware and linen napkins are also included. *Appetizers will be hand-passed by our staff for 1 hour during your cocktail reception. Freshly baked dinner rolls are also included with your meal. Price does not include your wedding cake which can be ordered on your own or through us at market price. Plated (seated table service) dinners are available for an additional $5 per person plus 18% gratuity.